I know I sound like a broken record skipping on the sentence “it’s still windy, but the fish don’t care” and it’s true… the fish don’t care! Two of the three trips I took this week were windy and we managed to have good fishing anyway. No surprise here, once again we were forced to fight the wind this past week. I was out only two trips. Wednesday’s trip we cut severely short due to extremely gusty winds. The twelve knot southeast wind we had as we left the dock at twilight turned into twenty knot winds and gusting well beyond by eight o’clock. The ride back to the ramp was sporty to be sure! 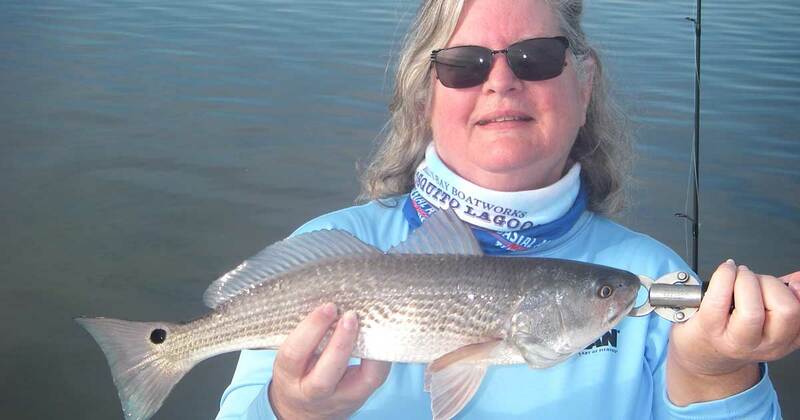 Water temperatures in the upper sixty to lower seventy degree range have spurred-on a decent trout and redfish bite in the Mosquito Lagoon. Boaters, please be aware the manatees have once again invaded the shallows. They’ll be here pretty much full-time until next winter. Quite the disparity in our weather this past week between the nice conditions on Sunday & Monday and the rest of the week! 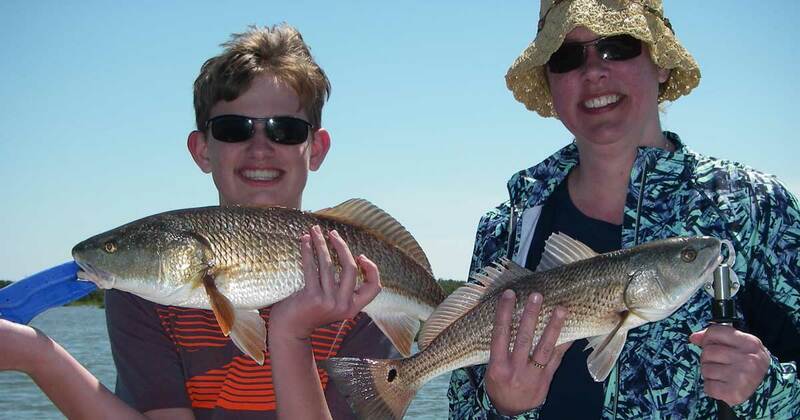 Still, even on the windy days the fish are biting in the Mosquito Lagoon. Sunday I was again joined by Tony who usually fishes solo; brought his friend Ashley. Ashley loves to fish, but her regular routine does not involve much casting. This day she learned to cast a spinning rod better than many seasoned anglers and she was rewarded with a nice trout after missing several bites. 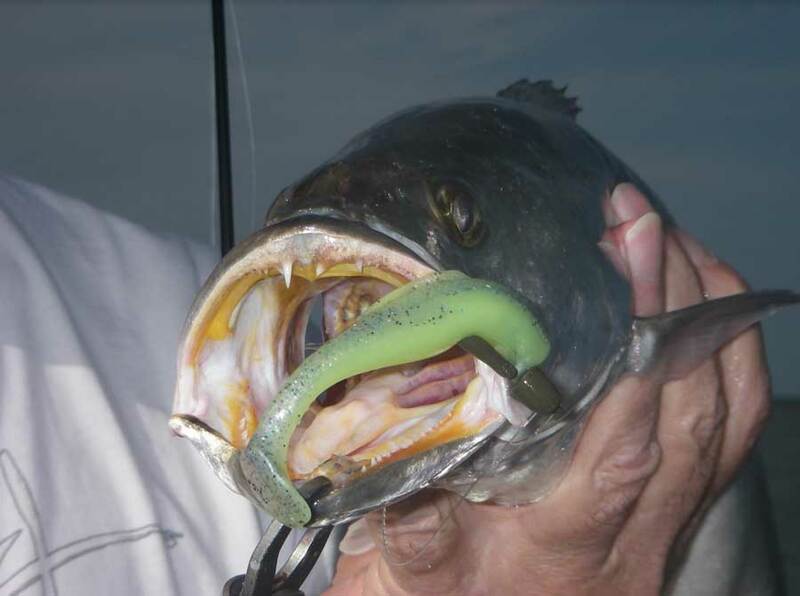 She tried a few different lures and her success came on Z-Man Curly Tailz pinned to a Bulletz jighead. 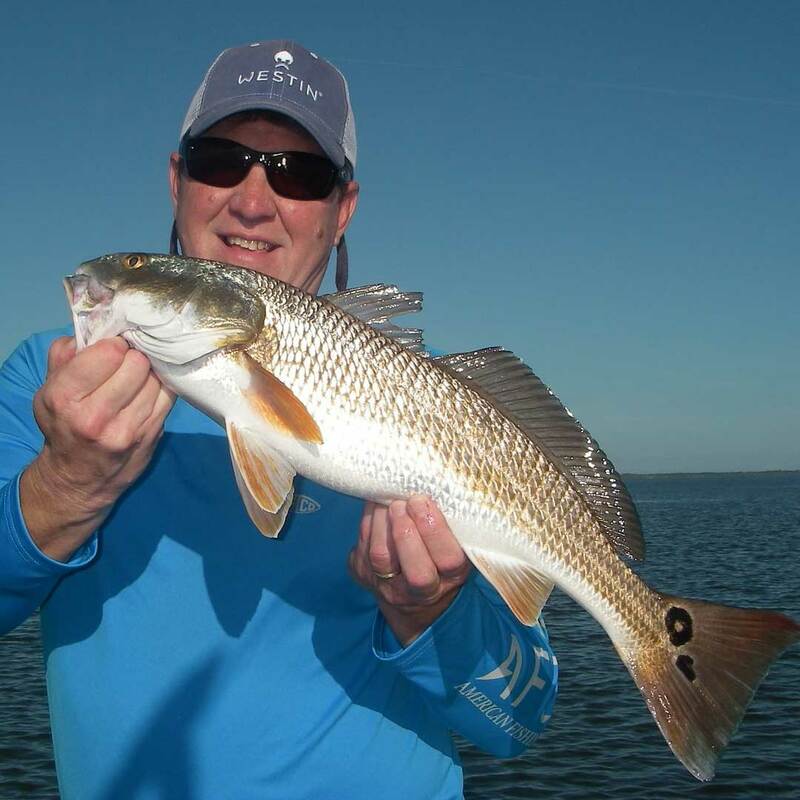 As usual, Tony caught a mixed bag of redfish and trout on top water plugs! Another week of wind and cold here on central Florida’s east coast and I decided to hide at the house during most of the poor conditions. 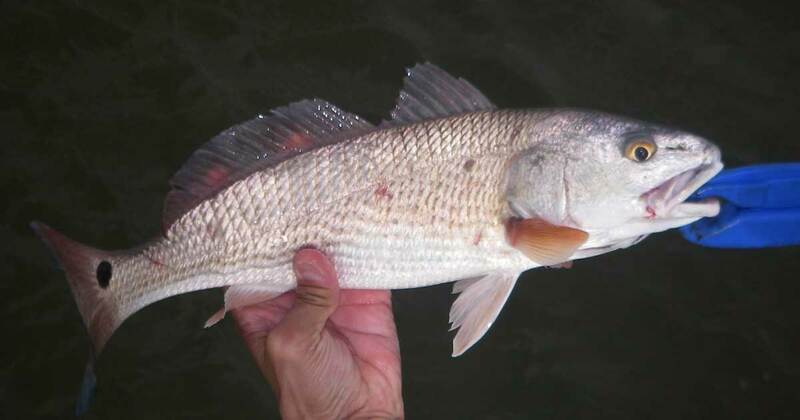 We did make it out a couple of trips and by hiding from the wind as best as we could my anglers managed a handful of spotted seatrout and lower slot redfish by throwing Z-man Pop Shadz and Diezel Minnowz across winds swept points and across sand spots in backwater areas which still grow grass! Sunday I joined Capt. Tom Carver as a second boat. One of my anglers was only an occasional fisherman who was “new” to the mechanics of spinning reels. I’ll give the gent credit; he learned fast and as a result he caught several trout. 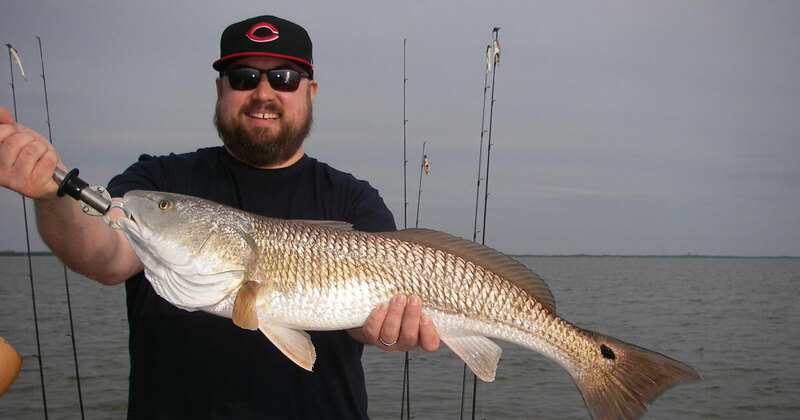 His experienced partner had much better results with a bunch of trout and a respectable redfish. 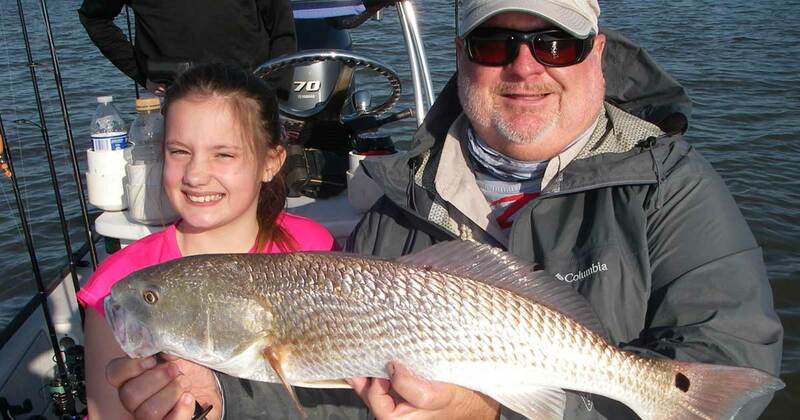 Fishing has improved yet again this past week in the Mosquito Lagoon. 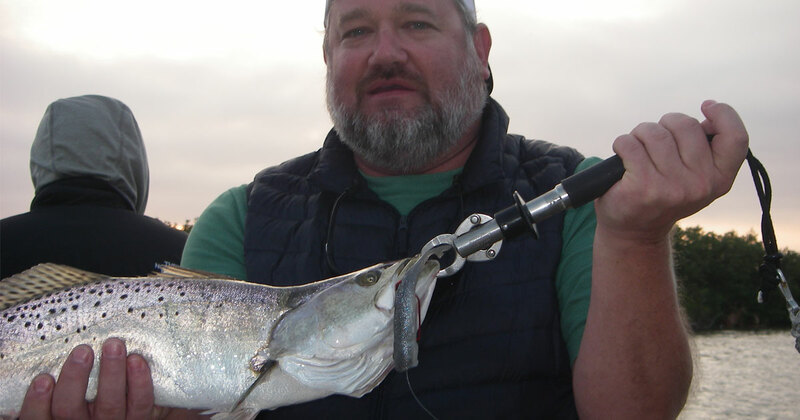 Not only are the redfish back to slamming our Z-Man Curly Tailz, three inch Minnowz and four inch Diezel Minnowz pinned to their new Finesse Bulletz jighead, but so are the trout! “Dirty water be damned,” I say and so does Jimmy who was in town for the recent launch. We hit the south end of the Mosquito Lagoon about two o’clock Saturday afternoon. The water was murky along the eastern wall, but given the windy conditions it’s where we needed to be. I did something completely out of character for me this past Thursday. 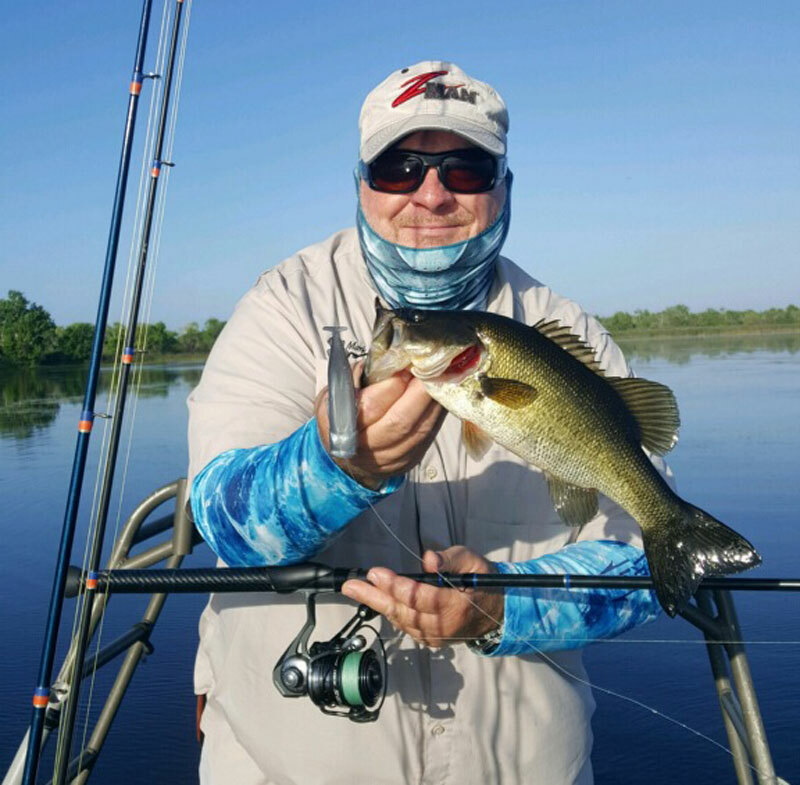 I accepted an offer to go fishing for bass from an occasional client and longtime friend Tom Haycock. 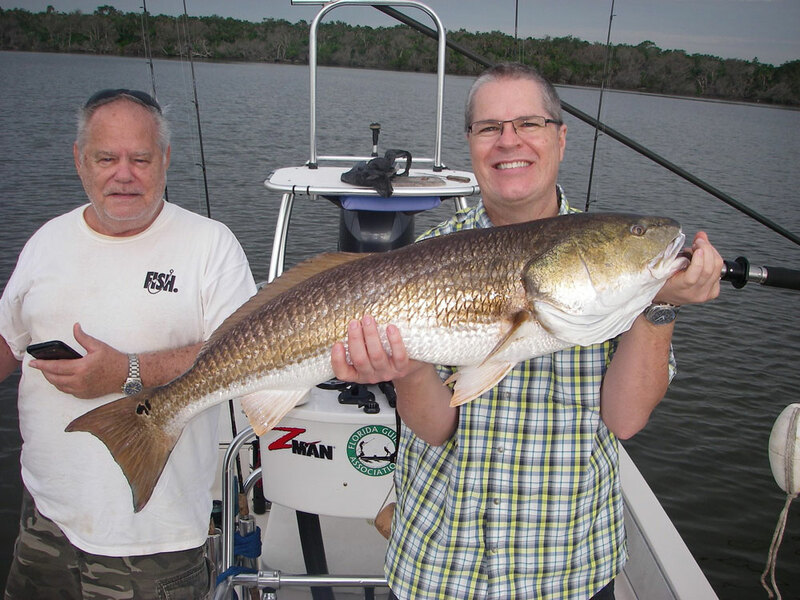 Tom is a great outdoorsman who fishes, hunts and dives all over Florida and beyond. Our destination was the fabled impoundments known as the Stick Marsh and Farm 13. If I understood the area properly we traveled from the boat launch into and through the Stick Marsh and actually fished in Farm 13. Finally some nice weather! A warming trend allowed the waters to reach ideal temperatures. However, the best bite of the day is still well after sunrise. Indeed, finding fish early in the morning has been relatively simple. 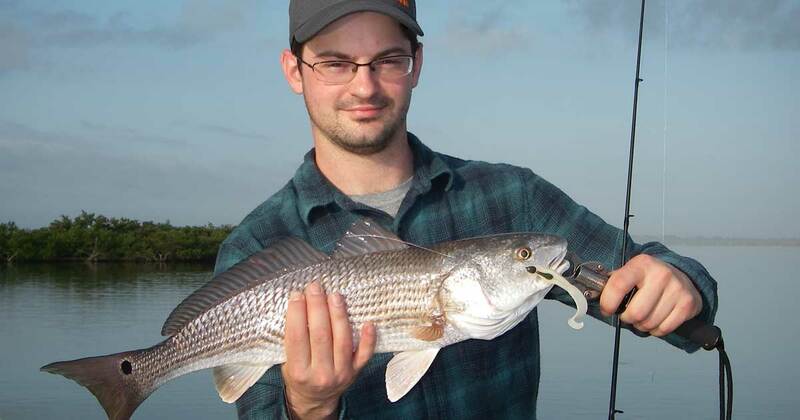 Getting the low-light prowling redfish and trout to bite with enthusiasm has been tough. To be honest, I’m a bit perplexed by this with water temps starting in the low sixty degree range. It’s good to be back on the platform! The knee injury is well behind me and looking forward to the cooler weather that’s in our near future! After being snubbed by the trout in one of my favorite spots then being continuously flipped-off (yep, they were tailing) by a finicky school of black drum Matt made contact with this 40 inch redfish. 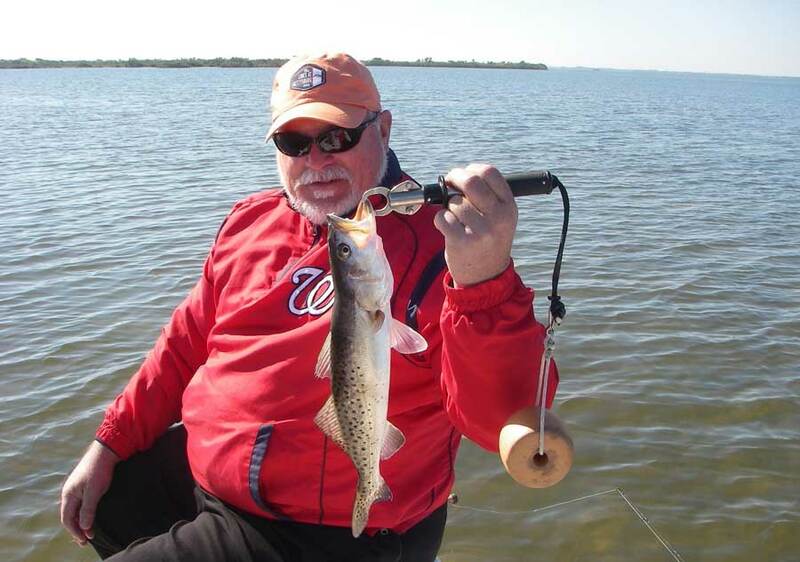 Bill caught a bunch of redfish this morning on the Mosquito Lagoon and finished up with an average-sized trout.